K-pop group BTS released a music video trailer featuring American musician Halsey. 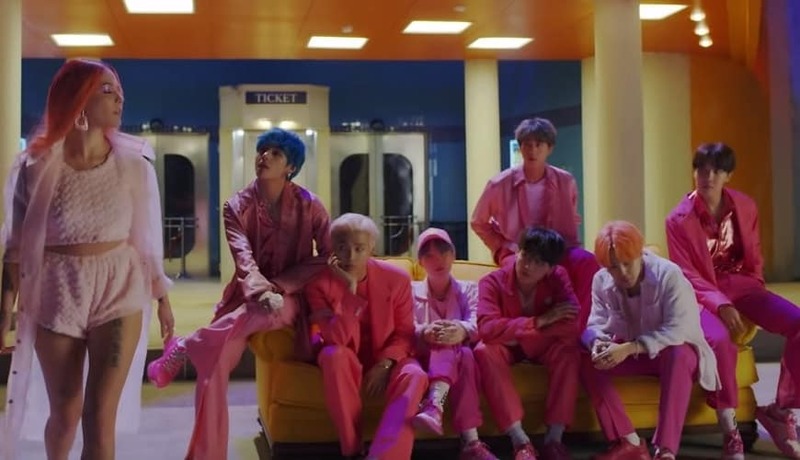 On 7 April (Sunday), Big Hit Entertainment dropped a 46-second trailer on YouTube for the BTS song titled ‘Boy With Luv’. The music video opens with Halsey sitting in the ticketing window of what seems like a movie theater. 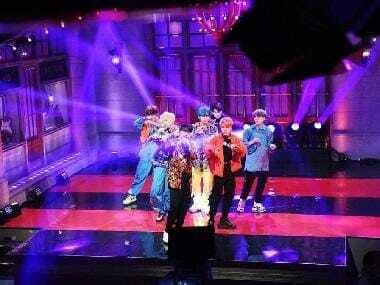 In a few seconds of inactivity, she shuts down the window and walks into the street where RM, Jin, Suga, J-Hope, V, Jimin, and Jungkook are sitting silently on a bright yellow couch, fully dressed in pink. They don’t exchange any dialogue or lyrics but some serious sultry looks that builds up the tension in the frame. At the end of the trailer, the camera pulls out to reveal the movie theater’s name, ‘Persona’. It hints at the BTS' upcoming album which is titled, Map of the Soul: Persona. The last couple of seconds of the trailer feature a short sample of the new song and the end reveals that the whole video will drop in Korea and the US on 12 April, 2019, which is the same day as the release of BTS' new album, Map of the Soul: Persona. 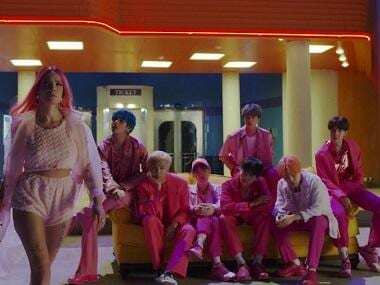 While for some Halsey’s collaboration with the Korean boy band BTS came as a surprise, it wasn't for most others who knew Halsey and BTS have been friends for years.